Starting April 2 (and ending October 29) we will be hosting all bikers for an all day happy hour! Just ride your bike on over and receive pint (and root beer) specials! 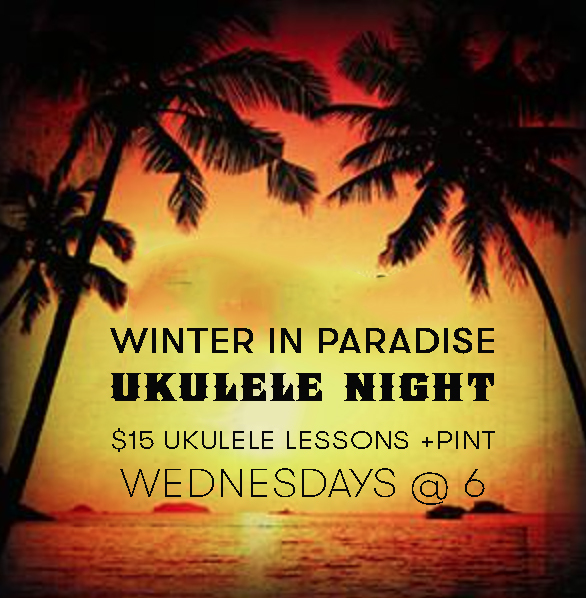 Join us every Wednesday from 6PM until 7:30PM to learn how to play popular tunes on the ukulele! Ukuleles are provided for your use. Cost is $15 for a pint and lessons. Join us for LIVE music in the brewery! Join us on select Wednesdays for BINGO. There will be 13 games in total - all cash prizes! The last two games will be whiteout games, with the 13th being 100% payout! Check our event calendar for dates! Join us in the tap room for LIVE music! Join our communities on the following social sites.